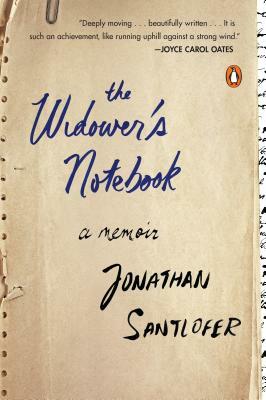 On a summer day in New York Jonathan Santlofer discovers his wife, Joy, gasping for breath on their living room couch. After a frenzied 911 call, an ambulance race across Manhattan, and hours pacing in a hospital waiting room, a doctor finally delivers the fateful news. Consumed by grief, Jonathan desperately tries to pursue life as he always had--writing, social engagements, and working on his art--but finds it nearly impossible to admit his deep feelings of loss to anyone, not even his to beloved daughter, Doria, or to himself. "The Widower’s Notebook is an intimate, honest, heart-wrenching, and at times even funny account of grieving as well as the memoir of long, satisfying, loving marriage. This is an important and welcome addition to the literature of loss and grief from the male point of view. I will be giving this Notebook to friends reeling from loss but also to old and new couples who need models of how to weather the many little deaths and losses that occur as they journey a life together. Santlofer has given us a brave, beautiful gift, heartfelt and invaluable."